Running is a sport of solitude. For many, it is the chance to clear the thoughts of the day between themselves and the road. It is also the opportunity to work on performance goals and personal records. Running with a group may seem to pose a threat to the runner’s autonomy, but it is actually very beneficial. Running with a group does not force you to forego your time of solitude; it merely gets you connected with other runners who also enjoy their time alone on the road. The group dynamic can bring a lot to the table for the runner who wants to improve performance and achieve goals. Motivation is a key benefit to joining a running group. Somehow, there is a lot more push to lace up your shoes when you know that a group of people is waiting on you at the local park. A little friendly competition can go a long way when the road gets tough – and it inevitably will get tough at some point in your training. Group connectivity can provide the runner with the energy of a cheering squad, as well as a group to cheer on to their own goals. 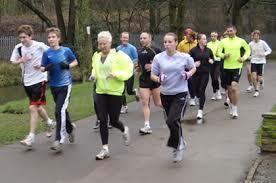 Safety is another benefit to joining a running group. 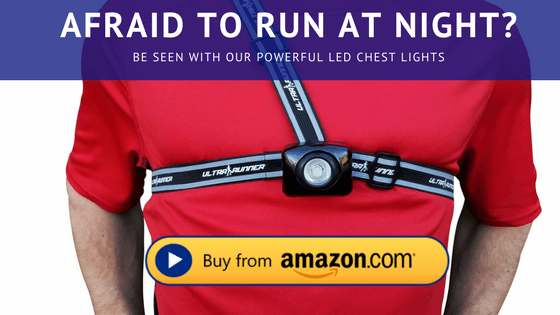 Let’s face it; it can be dangerous running in the dark or even broad daylight alone. I will never forget the day I was out on my regular running route, in my own neighborhood and I was approached by very sinister looking person who kept his hand in his pocket and got too close for my comfort. Fortunately, I quickened my pace and headed into the packed park which deterred my company. Later that day, I read about a sexual assault in my neighborhood and the suspect fit the description of the man who had followed me on the trail. Less sinister, but equally dangerous threats can come from cars, vicious animals or injuries on the road. Running groups offer the camaraderie and connectivity that only runners can understand. Few people outside the sport can understand why on earth we would purposely undertake such daunting mileage. Runners just get it. They understand the hours on the road, the meticulous hydration, the injuries and the runner’s high. Sharing your time on the road with people who share your love of running is good for the soul. It is also good for the sport. I spent years running alone. When I decided to take on my first marathon, I joined a local chapter of Team in Training. I was nervous about running with a group for several reasons; what if I couldn’t keep up? What if the demands of the run were more than I could handle? What if I didn’t have enough experience? These fears were quickly put to rest at the first meeting. In their place, I found mutual encouragement and a delightful group of people who would become my friends as we took our marathon journey together. For more information on how to improve your run, read our other articles at Runnersgoal.com. We provide vital information, encouragement and geeky runner stuff that you will love!